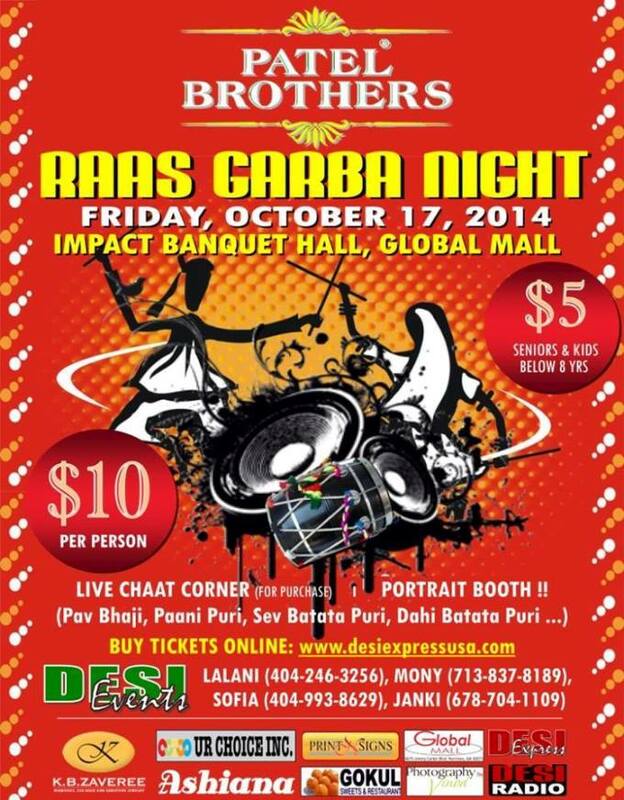 Patel Brothers Raas Garba Night. Food, portraits. Dance the night away in traditional, Raas Garba Dandiya with Delicious Desi LIVE Chat Corner, Everyone is welcome, OPEN TO ALL, Come with entire family, friends or just come alone, (You don't need partners for Raas Garba) Come celebrate our culture. Time: 8pm (DesiExpress), 9pm (Sulekha).